You are interested in small SUVs and the things that they have to offer. You are looking for one with exterior features that you will love. The Volvo XC40 is a popular luxury compact SUV set up with everything that you are seeking. The 2019 Volvo V90 is a powerful and popular crossover vehicle. While many crossovers are not necessarily known for their power, the Volvo V90 break this mold with a number of performance-enhancing features. These technologies include personalized steering systems, low energy shifters, and extended range transmissions. The 2019 Volvo V90 includes specialized electronic steering systems in its design. Unlike most steering systems, the proprietary Volvo technology provides drivers with the convenience of electronic steering personalization. When Ann Arbor drivers are searching for a new vehicle, they want one that can keep them safe every time they get behind the wheel. For this reason, the experts here at Sesi Volvo Cars often recommend that they take a closer look at the new Volvo XC60. By taking a brief look at this luxury compact SUV's long list of safety features, you will soon see why it is one of the most popular vehicles in its class. What will make you the happiest when you climb into a new vehicle? What interior features will get you smiling? 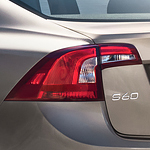 The popular luxury compact sedan that is the Volvo S60 may offer every one of the features that you are seeking. Come to Sesi Volvo Cars to learn more about this special automobile. 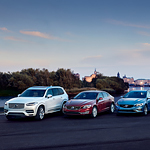 When you are trying to figure out what type of vehicle you would like to drive and whether or not you want to purchase that vehicle new, you should not overlook the Certified Pre-Owned Volvo options that are open to you. Buying a certified pre-owned vehicle from Volvo is a popular way of getting set up with a high-quality vehicle. People desiring a combination of luxury, space, power and performance enjoy owning their Volvo XC90 SUVs. 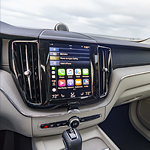 Additionally, along with a long list of entertainment features, the XC90's technology is also designed to enhance safety. Volvo has all of your needs covered if you are looking for an exceptional compact SUV designed to deliver a bevy of impressive exterior features. 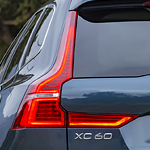 The Volvo XC60 is one of the most popular luxury compact SUV in its class. The Volvo enthusiasts at Sesi Volvo Cars are well-trained to answer all of your questions about this venerable vehicle. 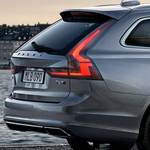 The V60 Inscription from Volvo is the epitome of modern luxury. 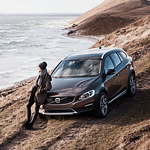 The popular mid-sized sports wagon is available at Sesi Volvo Cars. It has a beautifully designed body that's sleek and sophisticated. High-quality accents help to make the wagon stand out amongst the crowd. When you drive your family around in Ann Arbor, you want to be driving a vehicle that is outfitted with some great safety features. The Volvo V90 provides you with a variety of safety features to help you look out for your family. 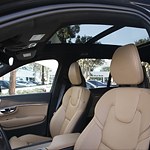 This popular luxury wagon could be just the vehicle for you. The Volvo S60 R-Design Trim: What Does It Offer? Starting at $41,900, the Volvo S60 R-Design is a popular AWD sports sedan at Sesi Volvo Cars in Ann Arbor because it offers a variety of features. We strive to keep our consumers informed about the vehicles that they are considering, which will enable them to make the best choice for their needs. 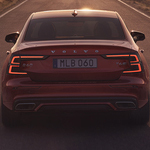 Read more to learn about the Volvo S60 R-Design trim.